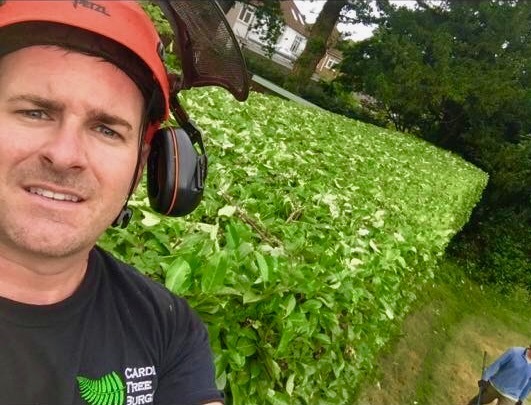 Cardiff Tree Surgery provide an excellent hedge cutting service to both the home owner and commercial client. Our hedge cutting service is available all year round we can undertake the cutting of any size of hedge and will remove all waste material as part of the quotation. Get in touch for a free no obligation quote. Most hedges are trimmed regularly to keep them under control – but are they left healthy? Time of year, amount trimmed and visual impact are all aspects which we take into account, leaving your hedges looking and growing as they should. Hedges can get too tall for their location, resulting in loss of light, space and sometimes neighbourly disputes. We can reduce the height of any type of hedge, making it more manageable and saving arguments with your neighbours!